Make a statement with the Hepplewhite Console, masterfully crafted and beautifully designed. 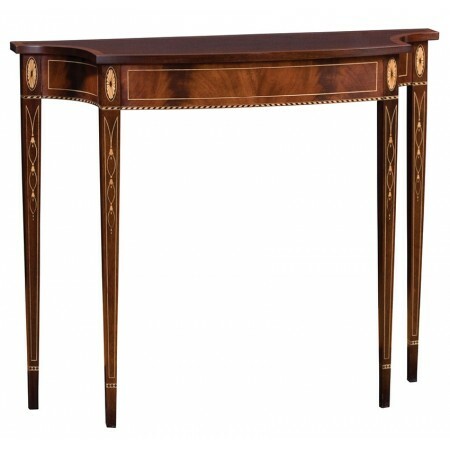 The top is solid mahogany with a silkscreened border while the apron and legs are a combination of exotic, highly figured crotch mahogany and maple veneers, combined to celebrate the best of 18th century design. 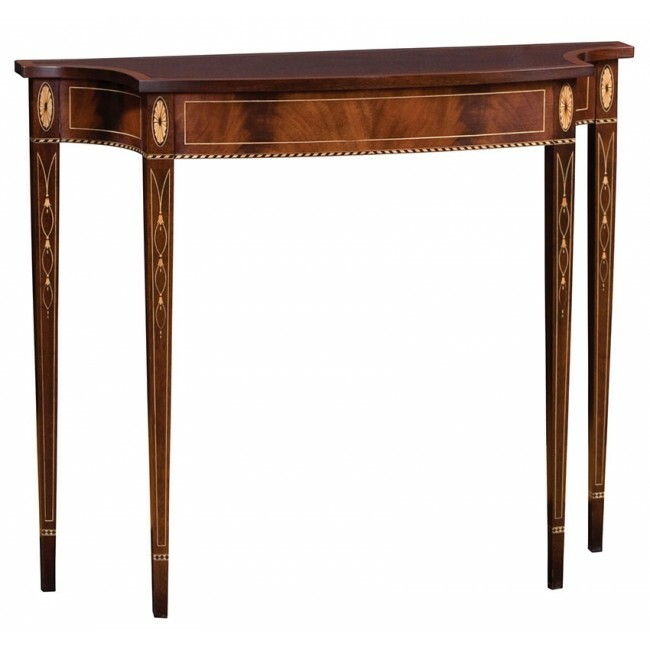 Available in solid mahogany and mahogany and maple veneers.